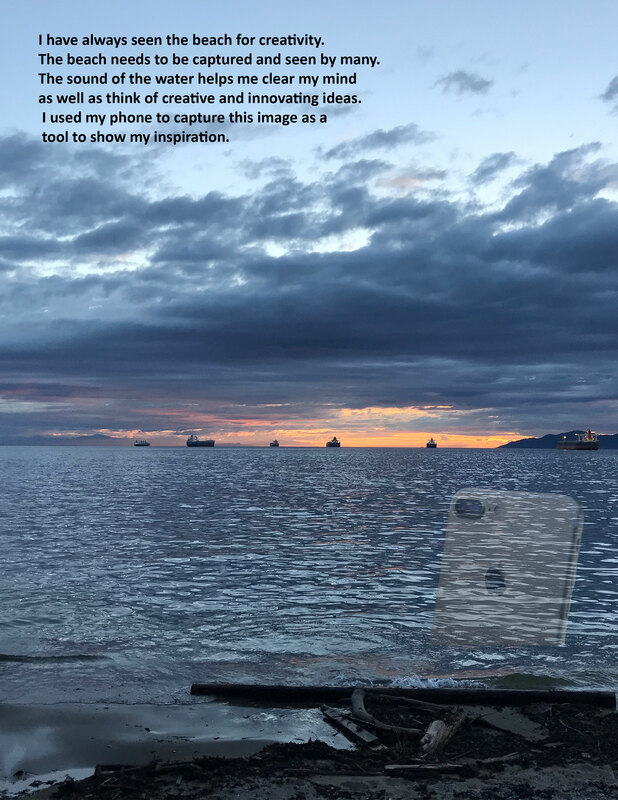 I really like how you incorporated the picture of the iphone by the water and made it slightly transparent. I need to know where that is!!! I like how the iPhone is floating off into the seas, or just even sticking out of the water. I also like the colors chosen as the background and I like the quote.